It’s tempting to think that when you delete a file from your PC that’s it, it’s gone forever. Anyone who has experienced mind-numbing data loss will be relieved to learn that data can actually be recovered from your hard drive for a good period of time after it’s supposedly been erased. That might be reassuring for those who don’t believe in backups, but for the rest of us – with potentially sensitive information to look after – it’s worrying. The reason data is so easily recoverable is that it’s not physically deleted from your hard drive when you empty the Recycle Bin or bypass it entirely. In order to prevent performance grinding to a halt (and save wear and tear on your hard drive), Windows simply marks the file as deleted, which means its header is overwritten and the space it resides is marked as available for writing to. But until that space is physically overwritten by other data, it remains accessible and retrievable. 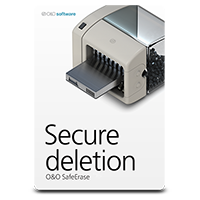 Thankfully, O&O SafeErase Professional is designed to give you an option for ensuring data you want deleted really does get deleted beyond the point of no return. At its most basic level, O&O SafeErase can wipe files with zeroes or employ one of five more thorough, secure (and slower) methods recognised by such luminaries at the US Department of Defense to ensure files deleted from your computer can’t be recovered – by you or anyone else. O&O SafeErase also includes tools for securely wiping clean all traces of your internet browsing, from cookies and downloaded files to the pages you’ve visited. IE, Edge, Chrome, Firefox and Opera are supported. There’s also a component for wiping insecure Windows and program files, such as temporary files and Flash Player cookies, ensuring you keep your activities secret. Backslapping all round, then, but what about data you’ve previously deleted? No problem, O&O SafeErase can wipe all that supposedly free space where the remnants of past files still reside. Rather than just wipe all the free space on your PC, though, SafeErase will search for what it considers are unsafe deleted files, to speed up the process. You can also secure delete entire partitions and hard disks, essential if you’re planning to sell on, recycle or otherwise dispose of an old PC or drive. SafeErase even allows you to start the process from within Windows itself, so you don’t need to create any bootable media prior to wiping the drive, while it also uses appropriate methods for wiping SSD drives without adversely affecting their lifespan. Impressively, all of this raw power is wrapped up in a single, simple-to-use user interface. 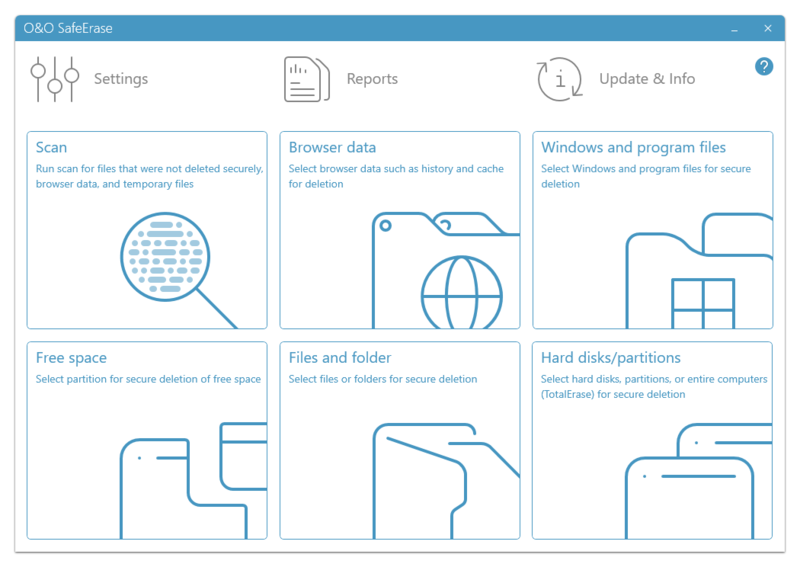 Click Start analysis, and O&O SafeErase will go to work – you can then review its findings and clean up your computer with a single click or opt to work with specific tools such as the SafeErase files and folders option for deleting selected files. O&O SafeErase also installs context-menu tools, allowing you to delete files securely from within Windows itself if you prefer.